Oden Control AB develops, produces and sells products based on their own gear technology with focus on three main product fields; electric actuators, complete valve solutions and industrial gears. The electric actuators are used to control valves and various other applications, mostly in process oriented industries. Oden is wellknown for its, compared to competition, very compact and high-precision valve actuators and needed a matching motor controller. They needed help to build a control unit for valves with exact performance to optimize their electric actuators. Unjo’s task was to improve and replace Oden’s existing control units and create one customized solution that would work better in all applications. It was essential for Oden to use the smallest possible motor to take full advantage of the high ratio reduction gear making the solution both compact and energy efficient. The fact that Oden needed one generic product, replacing the existing three, to work with different sizes of DC/BLDC and stepper motors in many sizes put great challenges on Unjo’s solution. 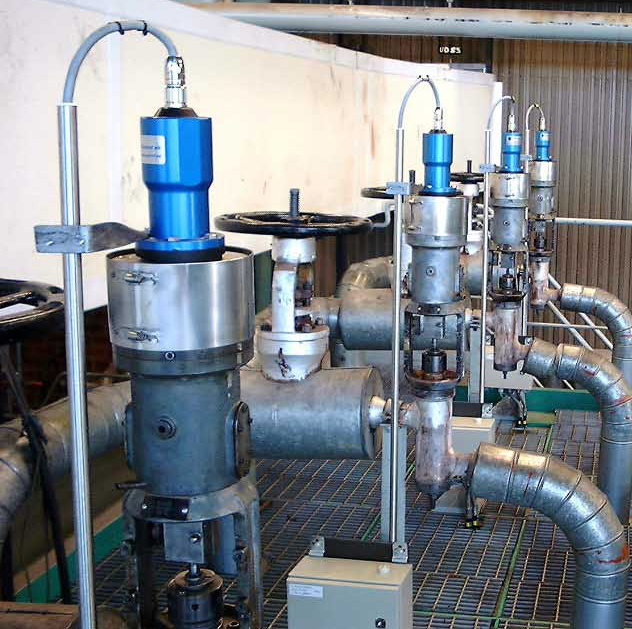 In addition, the actuator control should also be able to operate a large variety of different valve types, making the development project very complex. 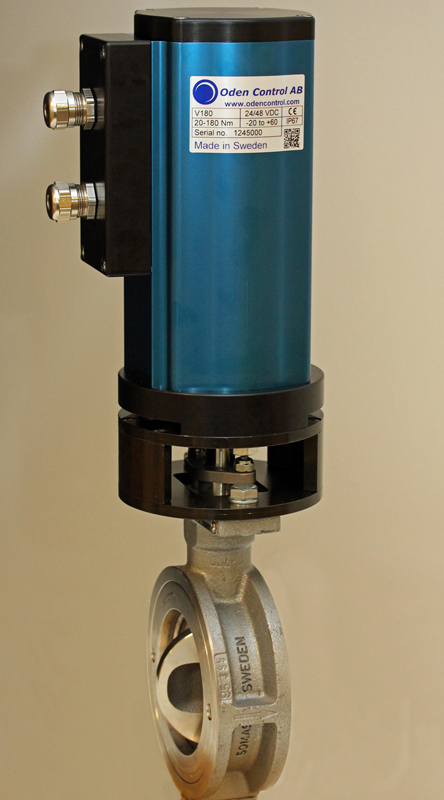 Finally the actuator should be able to operate in different applications and under various load conditions. Another situation for Unjo to take into account was power failure or power off during scheduled maintenance. With the valve in a certain position when the power is turned off, it is very important that it always “remembers” its position, even if the valve is manually moved. Otherwise the valve has to be re-initialized, which causes big problems particularly in the process industry, where there may be thousands of valves in a facility. “Our case was quite complicated, but Unjo handled the whole project very professionally. They had a good understanding of the problems that could occur throughout the project. They know what they’re talking about and can actually optimize motor controls much better than I thought was possible.” says Anders Bergknut, Managing Director at Oden AB. To create an actuator that could operate in a number of different ways, Unjo did a thorough work by verifying and reviewing all combinations possible. The result was a control unit that could work in all applications. To solve the challenge to always remember the position of the valve, Unjo included a super capacitor in the control unit. It supplies power for up to six weeks to keep track of where the valve is, even if it is manually moved. A capacitor is much better than a battery for various reasons, for example to handle the wide temperature range required and being more eco-friendly. “What’s good about Unjo is that, if necessary, it’s never an issue to make changes during the project. Unjo are open to suggestions, they listen to us and they implement improvements and resolve any challenges met.”, says Anders Bergknut. Unjo is willing to customize even for medium-sized volumes. The solutions that Unjo provides is more about reusing, this means that Unjo can fulfill the customer’s needs by adapting Unjo’s existing solutions and technologies. Unjo takes full responsibility for all upgrades and support needed throughout the product’s life cycle. Unjo’s solution resulted in both lower energy consumption and lower noise levels. Sound and energy are related, because noise usually comes from wasted energy. 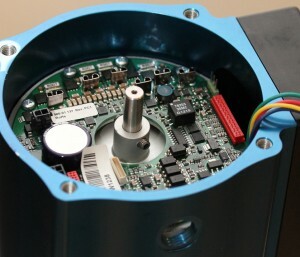 This result is therefor a great advantage, especially for stepper motors. “If the customer’s requirements are very detailed, we make sure that this is also what the customer will get. And if it’s not feasible, we let the customer know immediately. This will result in motor controls behaving exactly as specified under the stated conditions.”, says Jonas Hemming, Chief Technical Officer at Unjo. Well, there are competitors that can design a motor control, others that can manufacture it, but Unjo is unique in controlling the whole process from specification, through design and development, testing, manufacturing and to delivering motor control units for years to come. Besides taking responsibility from specification of the product to the delivery of it, Unjo ensures that the customized product remains available with guaranteed functionality. Over time, Unjo is often involved in future improvements and upgrades of the product. “I have good knowledge of competitors and believe Unjo is among the very top in the world when it comes to motor control.”, says Anders Bergknut. “I wanted a better solution than the previous one we had, which I wasn’t too happy with. I wanted a solution adaptable to the future, so that we don’t need to re-do everything to get new features. Well, Unjo delivered what they promised and therefore we will definitely work with them again in the future.”, says Anders Bergknut. The main benefit of choosing Unjo is simply their overall commitment. And the result of that? Customers that feel confident, all the way throughout the process!